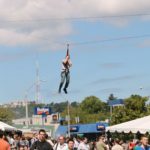 The ultimate extreme attraction! 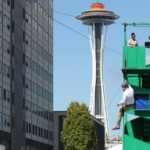 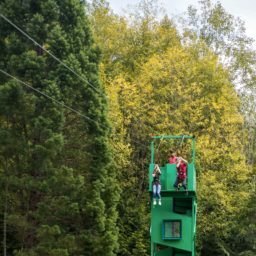 Take a leap of faith from our 30-ft tower on Washington’s only mobile zip line and get ready for some of the best event memories ever made with your guests. 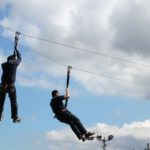 Our dual mobile zip line is now available for any event around the nation that needs to be taken to brand new heights. 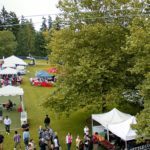 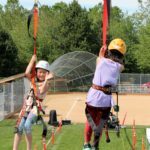 Our duel mobile zip line is the perfect surprise attraction to add to any fundraising event, a corporate event with the whole family, a sponsored field day, or conference. 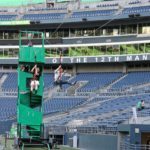 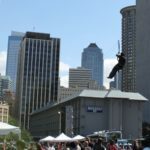 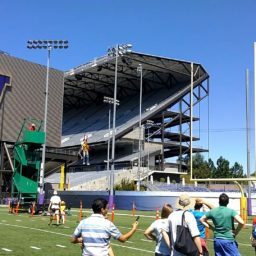 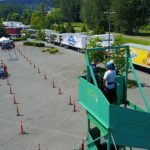 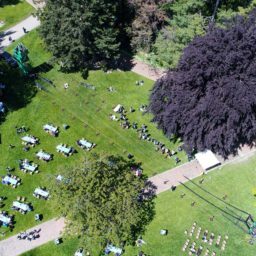 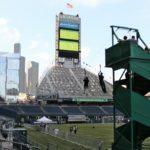 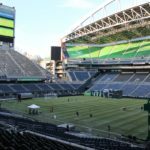 Our dual mobile zip line rental when rented comes with a full delivery, assembly and fitting for the venue of choice, a full safety test and check, a team of event supervisors to help out during the fun, and then a full teardown team when the event is over. 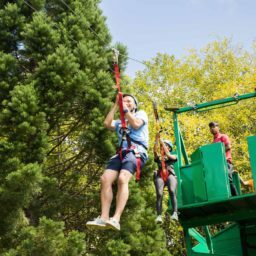 Our dual zip line allows for two guests at a time to take to new heights and race to the very end of the zip line course, creating the perfect opportunity for team challenges, head to head zip line races, or sharing a zip line experience with a friend or loved one. 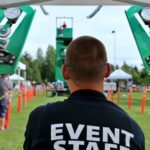 National Event Pros offers a variety of extreme attractions that both kids and adults will love! 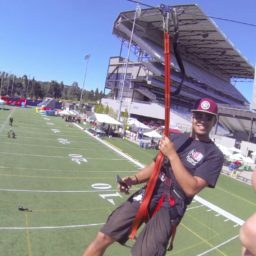 These are great to anchor your next event or to add a little something extra. 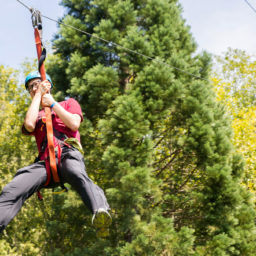 They are also great for corporate team-building events. 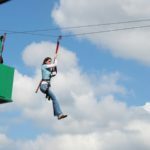 The swing can seat up to 16 adults or 24 children! 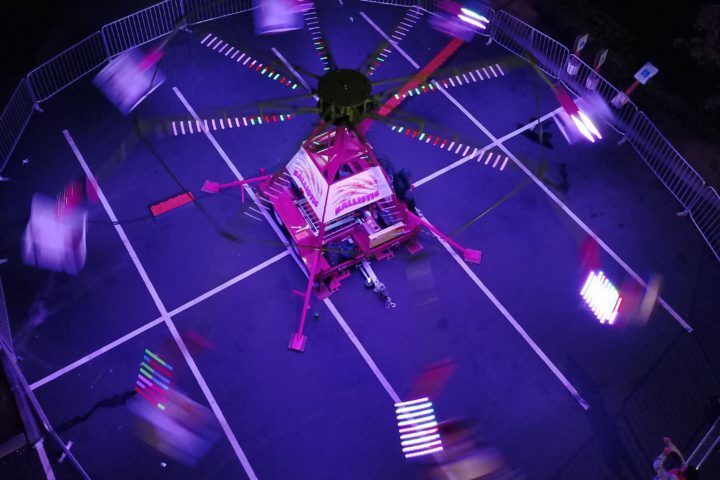 This ride gradually picks up speed and will be a great addition for your next event. 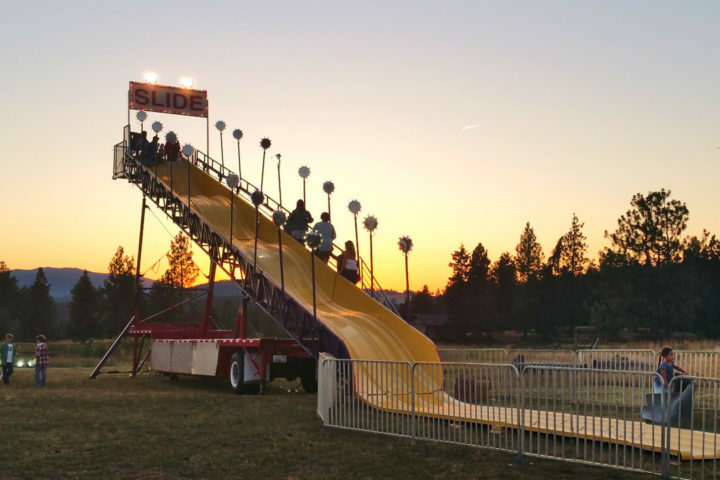 Hop into a gunny sack and slide down our newest hard slide!